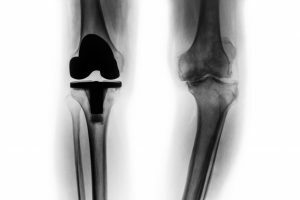 What Exactly is a Joint Replacement? There may come a time in your life, if it has not happened already, where your joints start to fail you. This is not the end of the world. With advancements in technology, it is now possible for joints to be replaced through surgery. This type of surgery is helping all kinds of people live pain free lives. They can also be active again through things such as knee joint replacements and hip joint replacements. Your joints the portion of your body that connect the ends of two or more bones. This connection is made by tissue that is called cartilage. When cartilage is healthy, it provides a protective cushion. This cushion allows you to have low to no friction movement of the two bones and the joint. These joints, and more specifically, the cartilage, can become damaged with age, because of an injury and because of disease. With the tissue becomes inflamed, then this can cause pain every time it is utilized. Even more pain can be caused over time if the cartilage wears down. This can result in the edges of the bone rubbing against each other. If only some of the joint is damaged, then the damaged part can be repaired or replaced through surgery. If the entire joint is damaged, then it is possible that a joint replacement can be done by a doctor. During this process, the diseased or damaged components are removed and then an artificial part is then put in to the joint. This can be known as a prosthesis or an implant. For more information about your options in terms of joint replacement, to have your joints examined, or simply to ask some questions about the procedure, be sure to contact us today so we can add you to the schedule.